On Sunday 26th April I joined the team at Swan and presented my own tea tasting masterclass to a class of 40 very friendly attendees. Accompanied by Swan’s very own afternoon tea spread we gathered around sharing tables to discuss the history of tea in the UK, followed by a masterclass of tasting a selection of traditional teas. 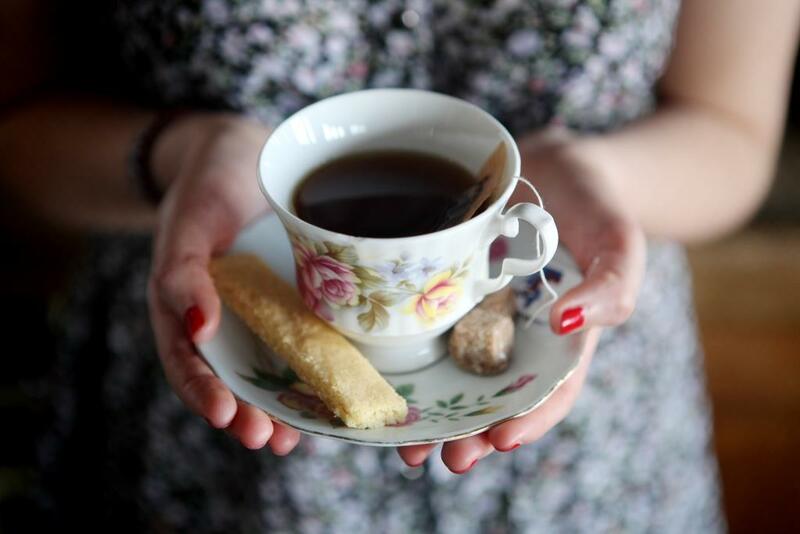 How has the tradition of tea become so embedded in our culture? On its arrival into Europe tea was adopted by the very small elite, so how was it that a far wider section of the British population took to drinking what was an extremely expensive beverage and how did it become the most valuable commodity of the British East India Company during the 18th century? Britain’s mercantile expansion in the 17th Century laid the foundations for some very marked social changes. From this, a new middling class emerged whose wealth came from coal mining, road building and attendant industries; part of the industrial revolution that was to span more than 150 years from the early 18th century. These people lived in the cities, had high disposable income and wanted to demonstrate their polite and genteel behaviour. And how could they do this but by readily embracing the latest fashions that were set by the trendsetters of the day, the aristocratic elite whose wealth was derived from land ownership? What was hot with the aristocracy at the time? It was the highly exotic, extremely expensive luxury items coming into Europe from the land of Cathay, “…. the mysterious and charming land of which poets are the only historians and porcelain painters the most reliable topographers.” (from Chinoiserie, A Vision of Cathay by Hugh Honour). The upper class had fallen into a craze for all things Chinese; expensive silks, exquisite porcelain, painted wallpapers, lacquered furniture, chintz, and, of course, tea. If you visualise our image of Shakespeare’s Globe and compare it to the exoticism of these Chinese imports I hope you can get the sense of excitement they instilled. As a result, we have the middling classes copying the habits of the rich, embracing the new tea ceremony at which the hostess could show off her beautiful porcelain cups and all other paraphernalia required. It was a social ceremony of manners for both the hostess at her tea table conducting the event and her guests attending, who also needed to display their knowledge of the correct codes of behaviour. For me this is the central point of the issue. Despite being very expensive during much of the Georgian era it was a relatively cheap commodity to serve to guests (rather than the rigours and expense of dining), in a ceremony created to show off the finest fashions and latest codes of behaviour: It oiled the wheels of sociability that have continued down through the ages.